Indoor Smart Signal Booster® for 3G, 4G, and 4G LTE networks around the world. The Cel-Fi GO Stationary Smart Signal Repeater, the first carrier-class indoor / outdoor cellular coverage solution to feature industry leading 100dB system gain and Nextivity’s unconditionally network safe guarantee. Cel-Fi GO Stationary leverages the award winning Intelliboost signal processing to deliver the industry’s largest coverage footprint with the best voice and data wireless performance. Cel-Fi GO Stationary is IP54 rated weather resistant and does not interfere with other wireless devices. This multi-band solution is ideal for use in commercial properties, government buildings, agricultural settings, small manufacturing operations, rural areas, businesses, and large homes. The evolved signal booster that can amplify cellular signals up to 100dB. Cel-Fi PRO improves 3G, 4G and LTE cellular service by eliminating dead zones and dropped calls. 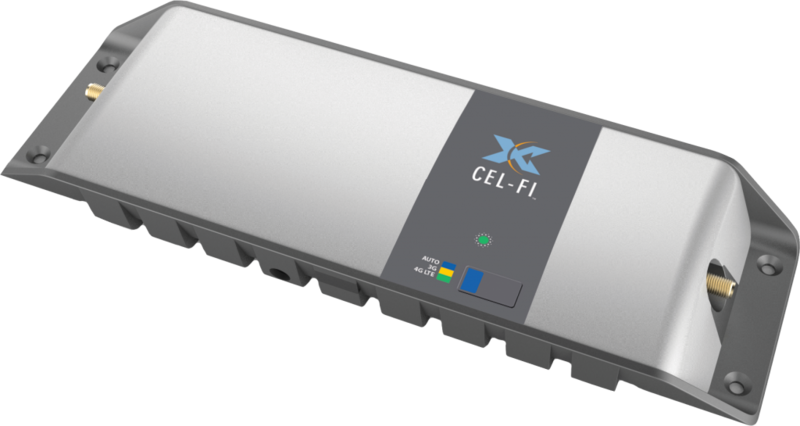 With 100dB of gain, Cel-Fi PRO will not only improve cellular service across four (4) concurrent bands, it will also reduce your cell phone’s power requirements and extend its battery life. Cel-Fi PRO covers up to 13,000 sq. 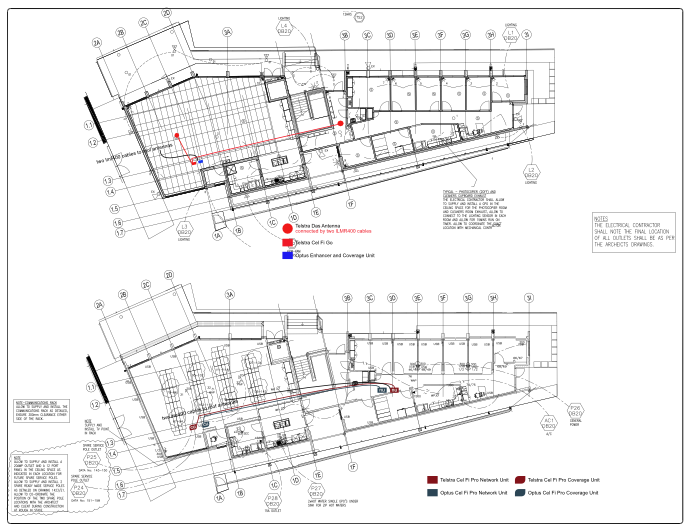 ft. (approximately 1,200 m2) of indoor space per system. Cel-Fi PRO systems feature an LCD color interface, are fully self-contained and self-configuring, and require no external antennas or wiring. Simply plug it in to boost indoor cellular coverage. 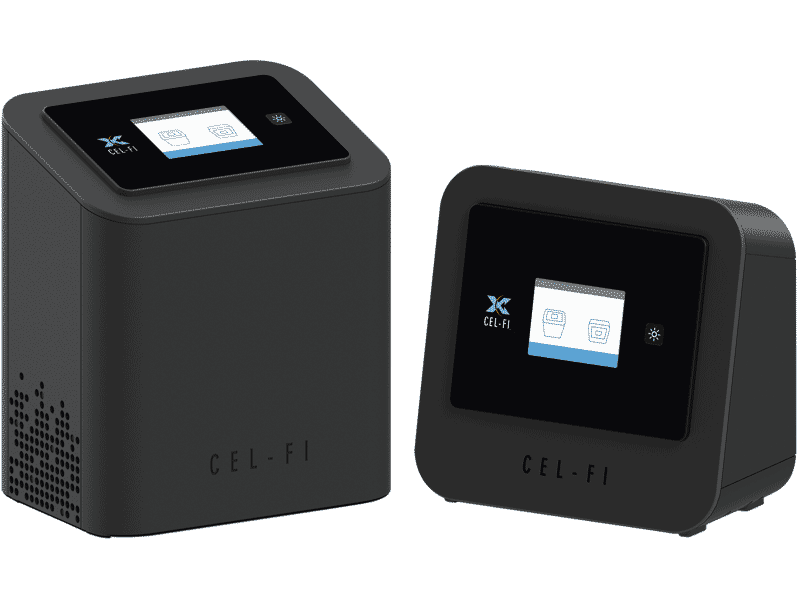 Cel-Fi PRO EXA variants feature an external antenna connector to enable the use of an external Donor antenna. A Cel-Fi PRO EXA with an external Donor antenna can thereby acquire an outside signal, allowing it to be used in applications where no signal is present indoors (i.e. cement, metal walls, etc.). This opens up new opportunities for using Cel-Fi PRO Smart Boosters, when other solutions fail. Cel-Fi PRO EXA enables cellular coverage in hard to reach places by allowing the Cel-Fi Network Unit to be placed, where no service exists. In most cases these repeaters can be self installed by simply following the instruction supply. Placing the network unit near a window with the strongest mobile phone signal. 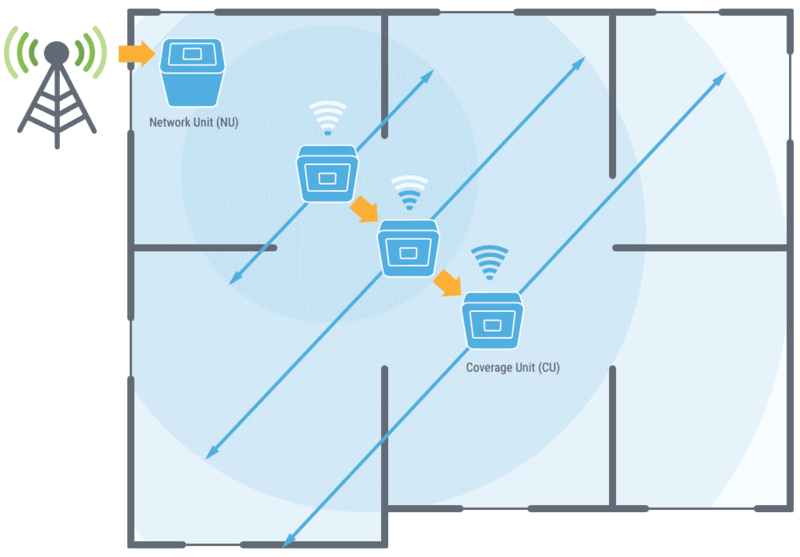 The coverage unit is then place in range of the of the network unit. The total coverage area equals twice the distance between the NU and the CU. However where an antenna installations is required Kore Communications can assist you in installing your mobile phon repeater in the most efficient position and run all cables. Requirements for successful Antenna installation of your Mobile Phone Repeater, you’ll need an existing mast or a new one installed to support your omni or directional antenna from there the supplied LMR cables will need to be installed internaly to the Cel-fi location to the desired coverage zone. Install new equipment including any cabling, antenna(s) andprovide any additional materials. On completion we’ll run you through the installation and operation of the installed equipment. Kore Communications provides a onsite signal anylysis of your premises. Results will be documented and presented in pdf form for consideration and implementation. The follwoing example showing customer supplied plains overplayed with Kore’s proposed solution. and device placements. Help you in the design and layout of your new system. Talk to you about your needs, Install LMR cabling between your new antenna and Go Repeater, including any additional DAS pickup antennas.